This product is an excellent intra-workout formula and can help with the prevention of muscle breakdown. Simply mix with water and consume during your workout for best results. 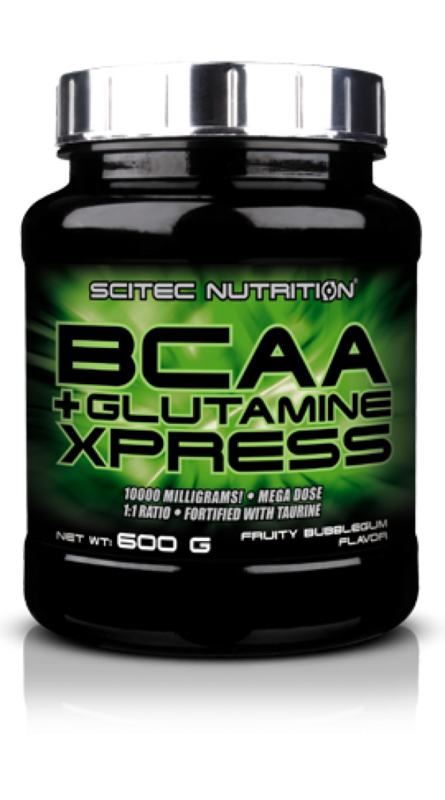 Our BCAA Glutamine Xpress formula provides you with a huge 10g dose of BCAAs and Glutamine in one serving. Ensuring your body has everything it needs to maximise recovery and ensure you can work out harder. As your body cannot synthesise essential amino acids, adding these into your supplement routine are a great way to ensure that the body has optimal levels of amino acids in the body. Although some BCAAs can be obtained through the consumption of foods, this isn’t enough to help the body perform at it’s best. Benefits of BCAAs and Glutamine can help to promote faster recovery from muscle soreness and fatigue and increase tissue repair. As a byproduct of this, the body is able to heal much faster between workouts, allowing you to train more frequently and improve lean muscle mass and strength.